Home / SkinCare / Ethically Organic Pure Unscented Face Oil. 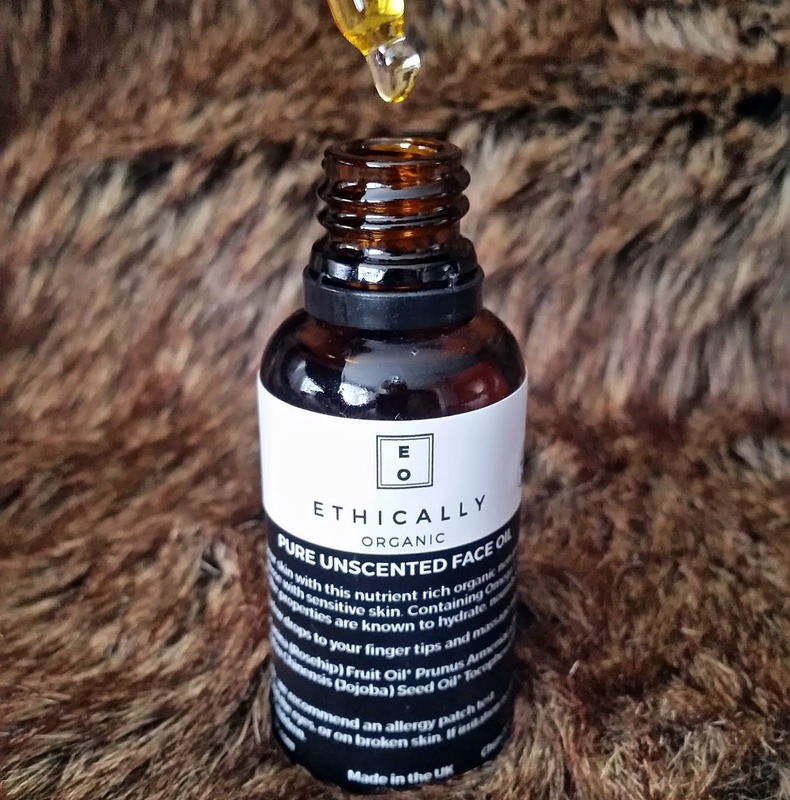 Ethically Organic Pure Unscented Face Oil. Ethically Organic new skin care range features affordable products that can transform your complexion for you to see visible results each time they are applied. Natural organic ingredients can lavish the skin without any harsh preservatives or chemicals that sometimes can have adverse effects leaving you with the same problem and out of pocket. Looking for high-quality organic products that contain specific ingredients that are proven to help you with your skin problem is the best option and Ethically Organic provide cruelty-free products for your skin care concern. 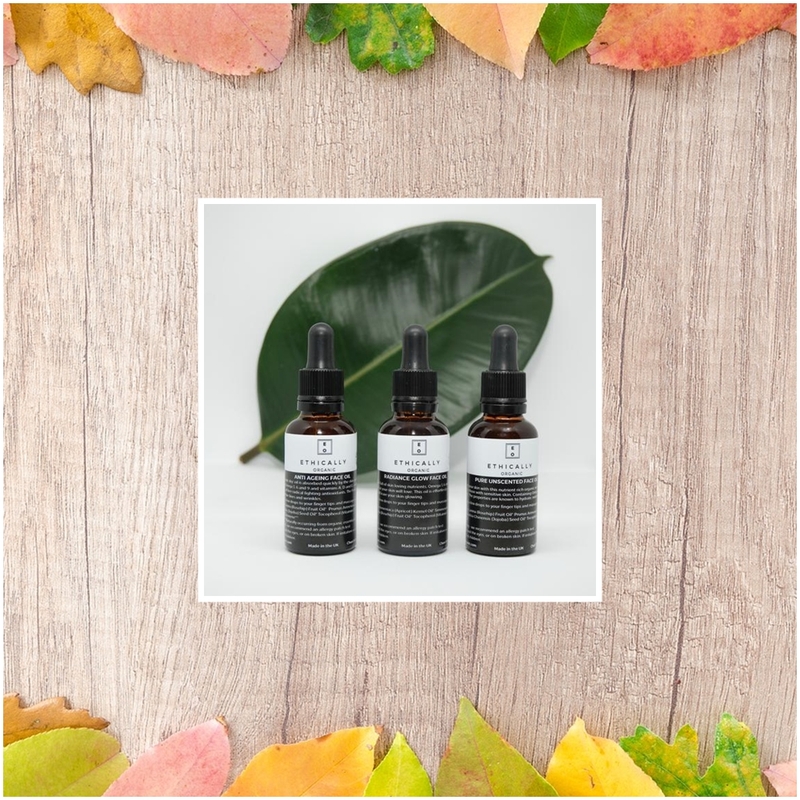 The Ethically Organic pure unscented face oil is high in nutrient rich ingredients and is unscented to suit even the most sensitive of skin types who cannot tolerate fragrance in their skin care products. The balancing dry oil provides essential hydration, caring nourishment, while soothing the most irritated of complexions, without blocking pores and without leaving a greasy texture behind. Containing free radical fighting antioxidants that help protect the skin, they can also greatly improve the health and appearance to reduce the signs of ageing. Rosa Canina (Rosehip) Fruit Oil* Excellent for all skin types and is beneficial to help many skin problems. High in vitamins A, D, E, and offering essential fatty acid and high flavonoids antioxidant benefits for the skin. Prunus Armeniaca (Apricot) Kernel Oil* Rich in oleic and linoleic acid, whilst being high in vitamins A, C and E. The oil offers anti-inflammatory benefits to soothe all complexions. Simmondsia Chinensis (Jojoba) Seed Oil* Balances oily skin, soothes sensitive, whilst hydrating dry and normal complexions. The oil contains essential fatty acids and is high in vitamins and antioxidants. 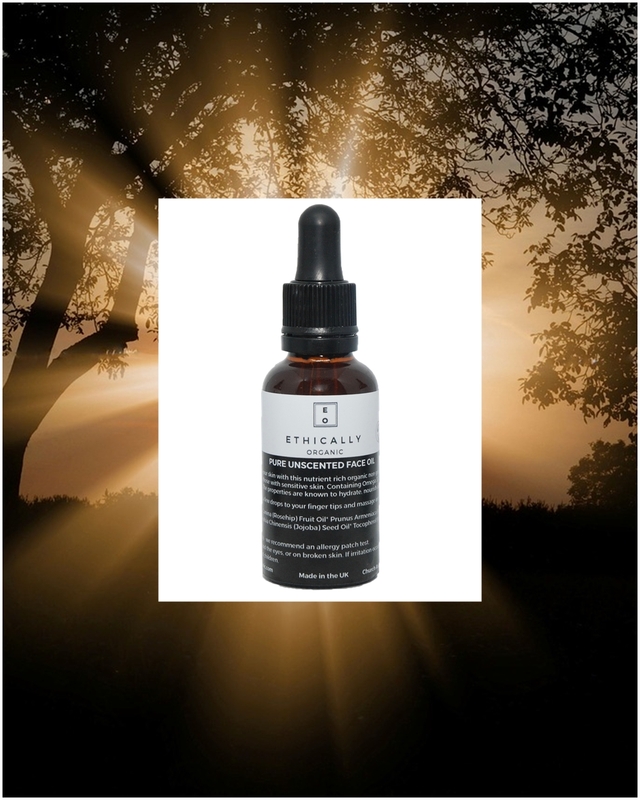 Tocopherol (Vitamin E)** A powerful antioxidant that protects skin from aggressors such as pollution and UV. It is also a popular anti-aging ingredient because it tightens and firms the skin, whilst also offering nutrient and moisturising benefits. *Organic **Natural 100% NATURAL 99% ORGANIC. 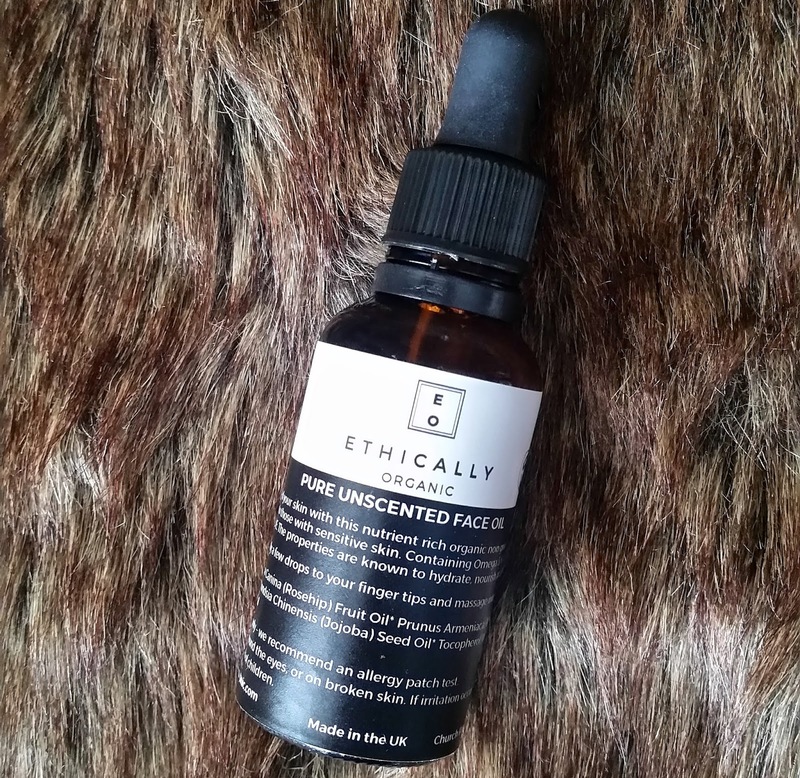 Ethically Organic are a 100% cruelty free company, none of their products or ingredients have been tested on animals, they will never sell their products in a country where animal testing is mandatory. Ethically Organic is proudly endorsed by PETA. The product is 100% Vegetarian and registered Vegan by the Vegan Society . Presented in a dark glass bottle with an eye dropper tool, the oil is of a light yellow colour. Applying to your finger tips and then massaging the oil into the face and neck, i was impressed on how quickly the oil absorbed leaving a smooth and hydrated base. You can apply this versatile oil to freshly cleansed skin, after your water serums, or add a few drops into your moisturiser to reap all the benefits the oil provides. Light enough to be used in the summer, whilst providing essential care for skin in the winter months, the multitasking oil is a favourite to use anytime of the year. Add the Ethically Organic pure unscented face oil into your skin care routine to feel and see the benefits for yourself. X Neil.